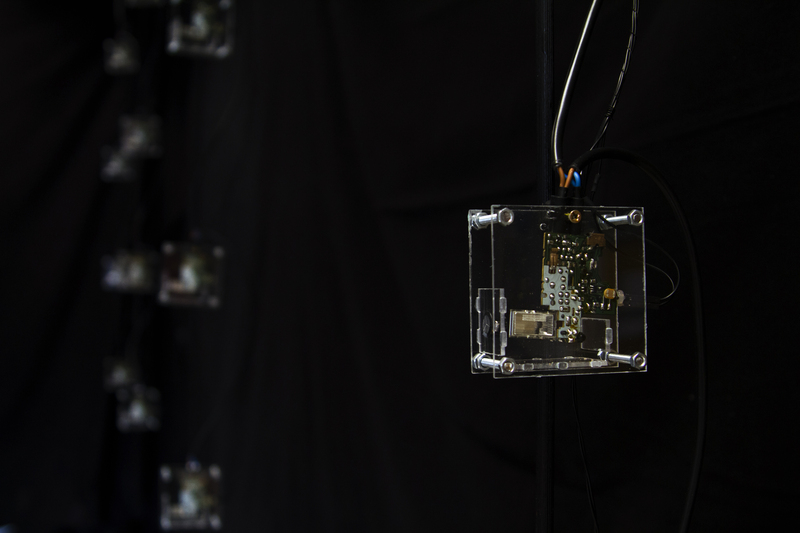 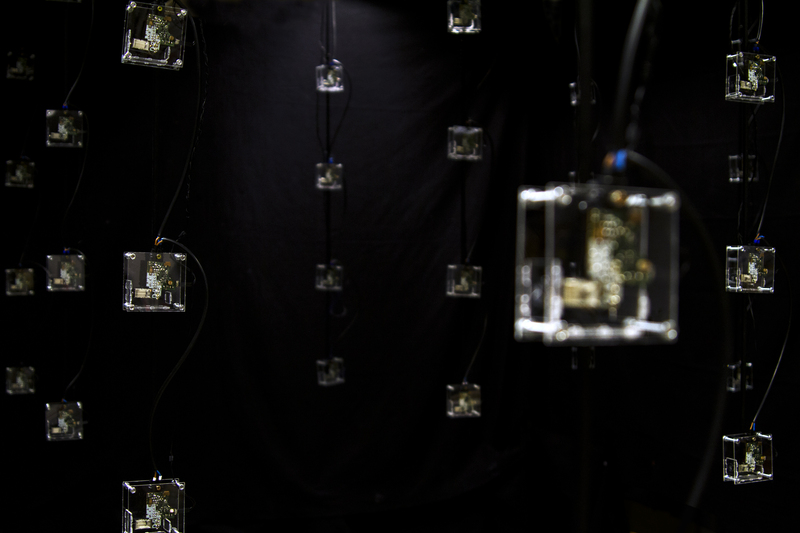 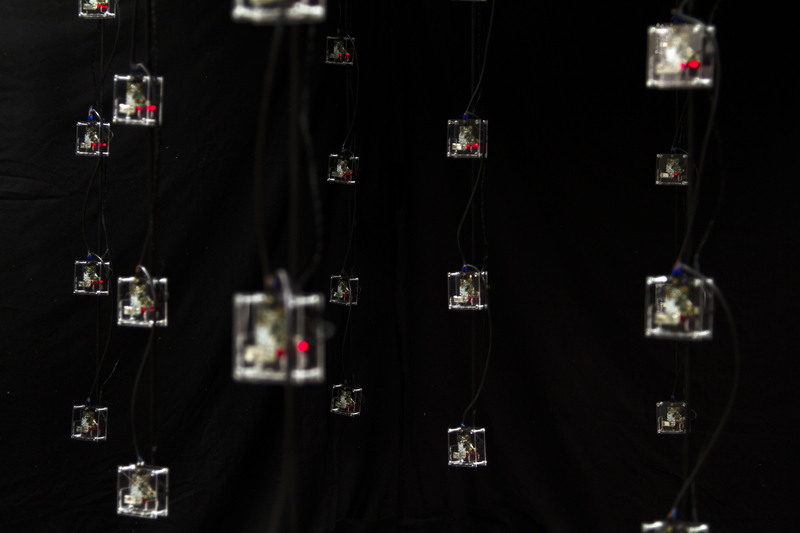 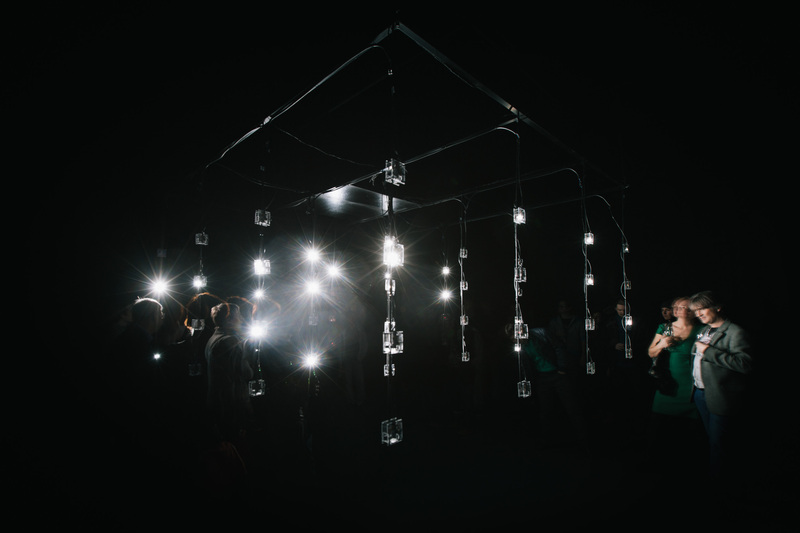 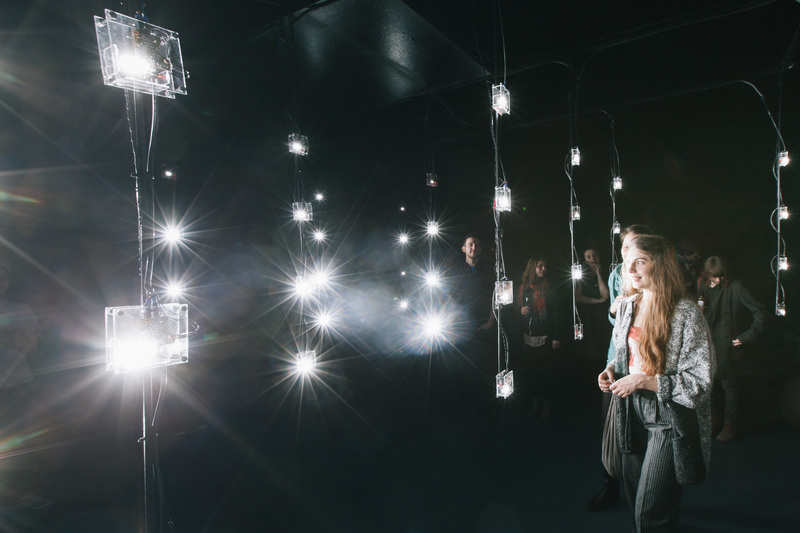 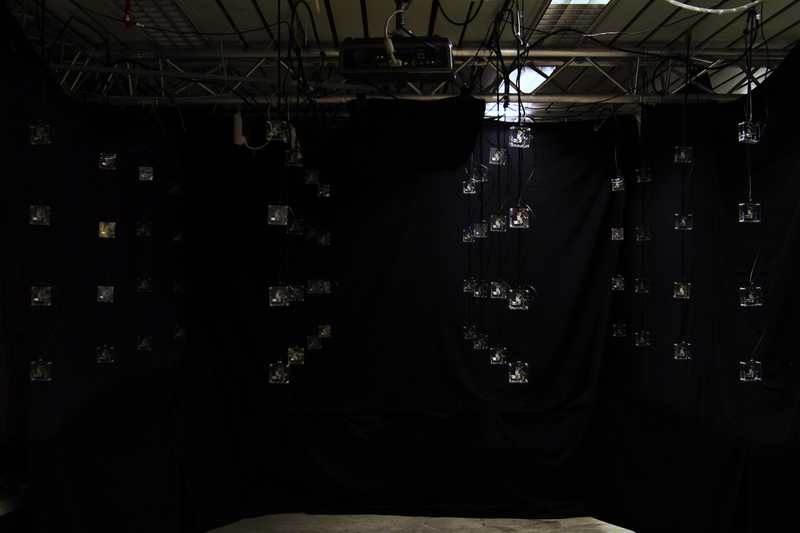 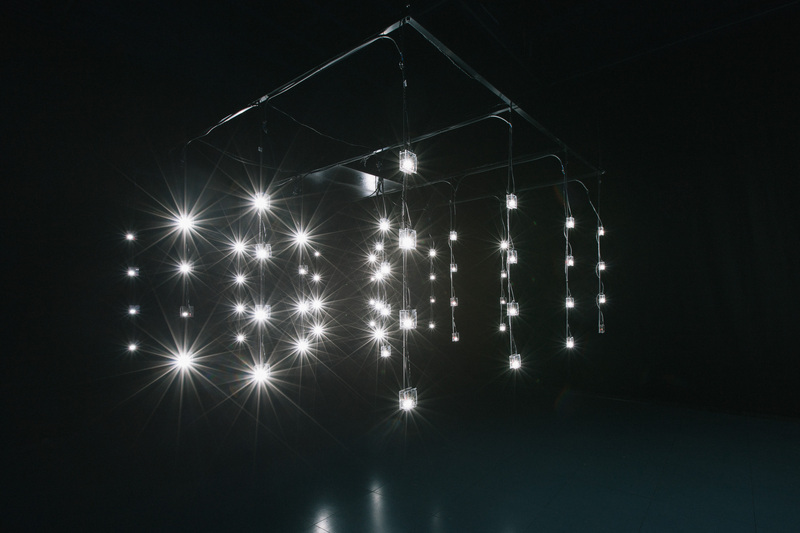 64 modified electronic flashes form a hanging 3D matrix in a room. 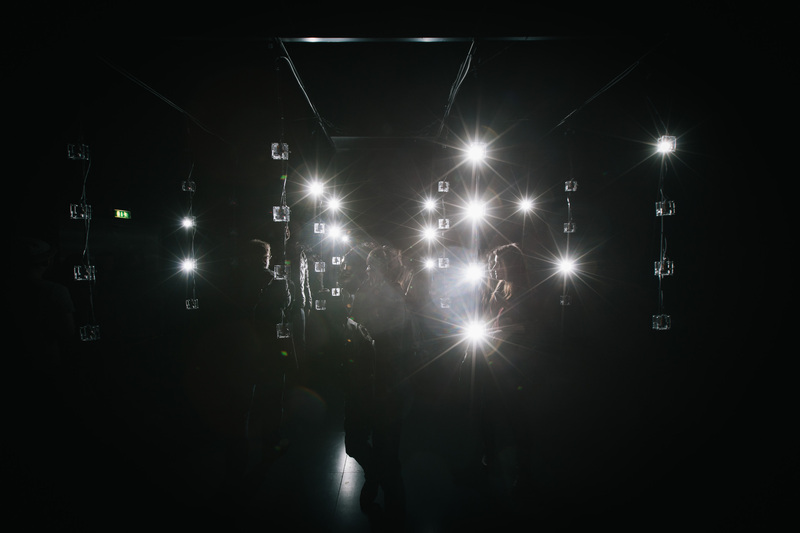 A predefined choreography activates the flashes and pops them in a random fashion again and again. 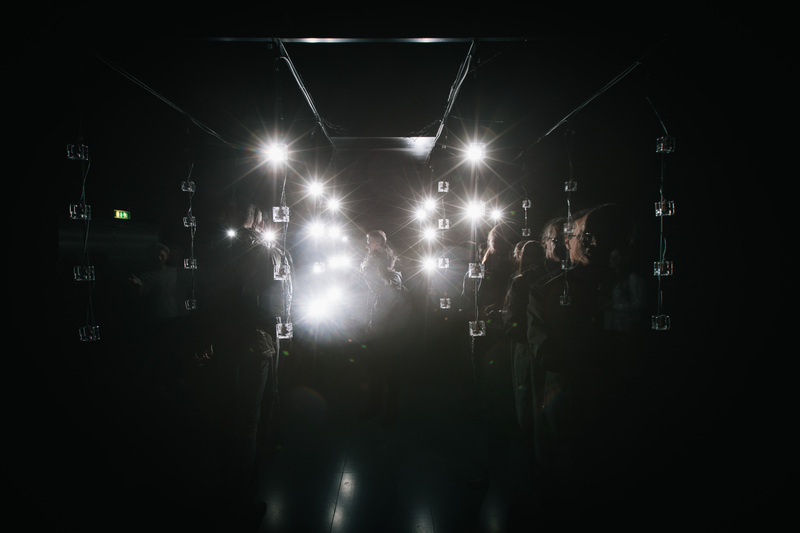 The participants are invited to stay inside the room as long as they wish to. 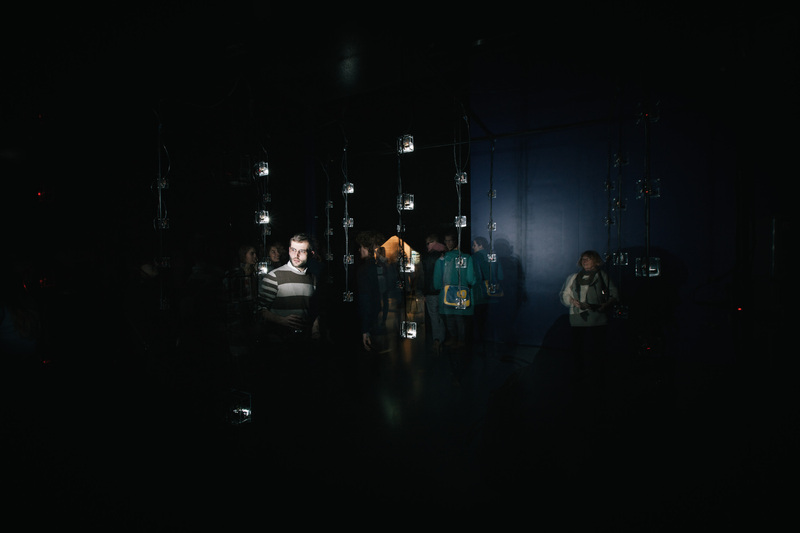 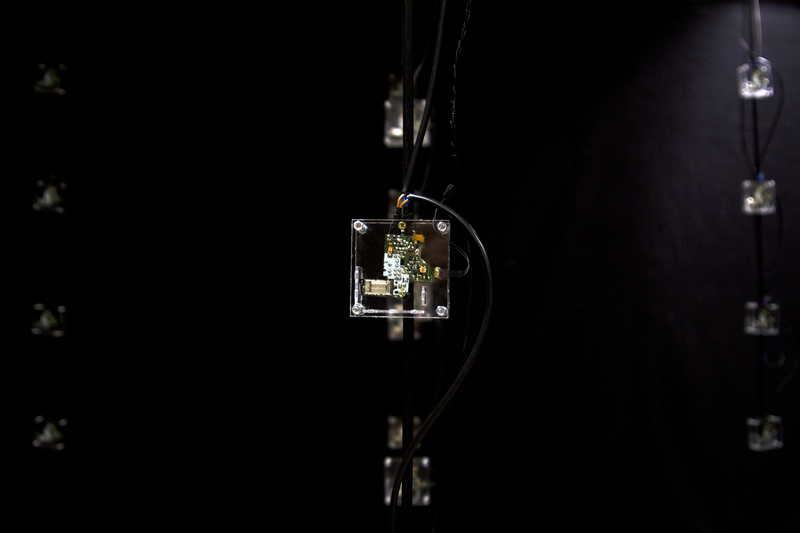 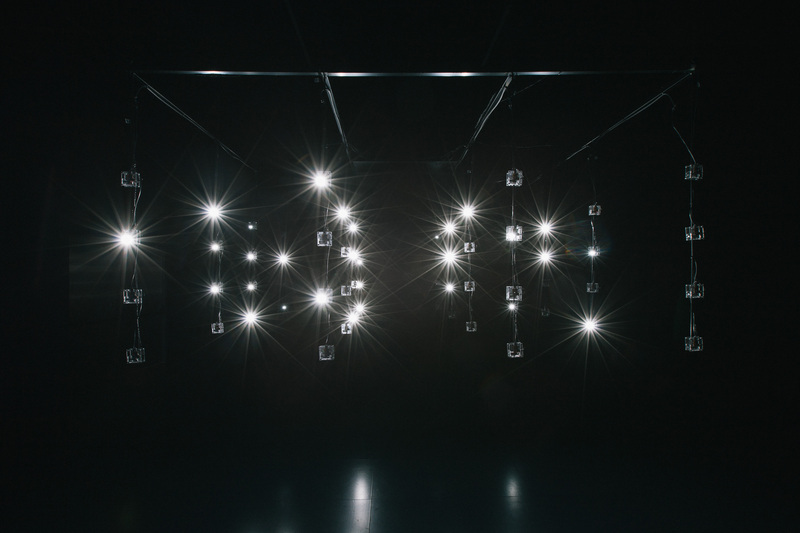 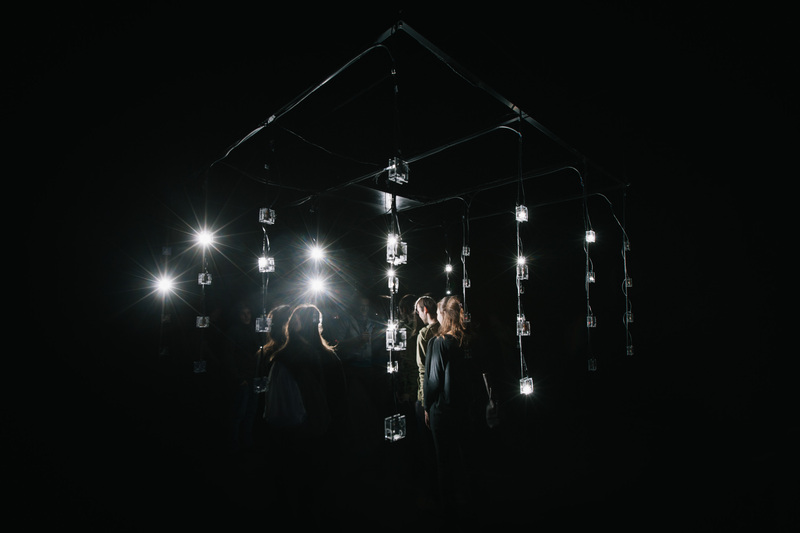 This installation researches electronic flashes as an artistic medium.